day fully savored to the dregs. the coming cold, the battles to be fought. the storms – to the Dream. 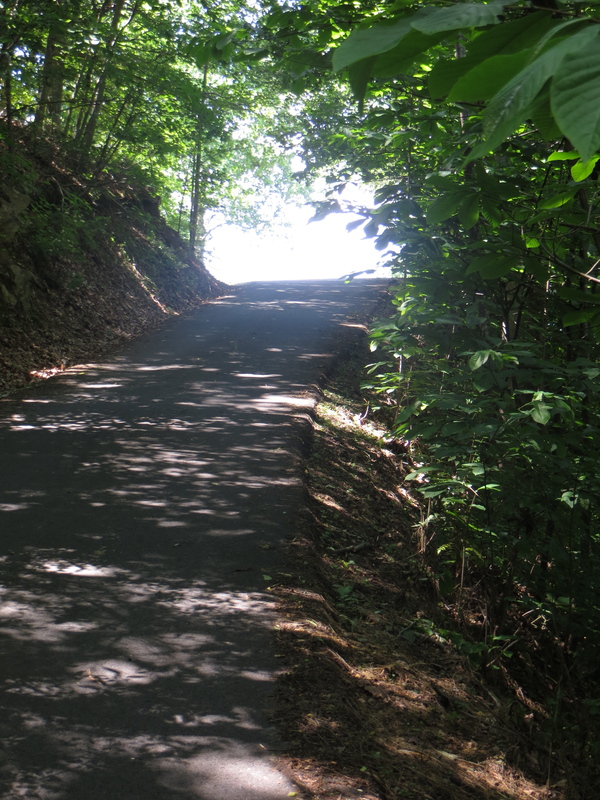 The long path uphill ends in light. Accountability. Something about this word rings big and scary. It’s slung around in politics as a threat of not being re-elected, of being censured for a misdeed or failure. To “hold someone accountable” often connotes a punishment for a wrong action, or a punishment for not doing something you’re supposed to. But we’re accountable to and responsible to a lot of people: our selves, our parents and family, our partner (if we’re in a relationship), our boss, coworkers, clients or customers, roommates, friends, pets. That’s a lot of responsibility! It can feel overwhelming to think about all at once. My frustration at being reminded or held accountable to do something stems from, obviously, not having done it yet and knowing I need to or want to. Gentle reminders can serve as the kick in the pants to move forward, to move things from the “to-do” list to the “done!” list, which is always rewarding and energizing. So why do we procrastinate and dislike the idea of too much “accountability?” It’s so much easier to keep browsing Twitter, Facebook, reading that article or book, doing that recreational activity, and not doing the thing we know we need to do. Making ourselves do something requires dipping into our reserves of willpower and self-discipline, even for something we want to do. It’s not as immediate a reward as clicking a link or clinking a drink. I did have a big pool party when I turned 10, Little Mermaid themed. Probably one of my largest birthday parties ever, with about 30 or so little girls from my school. 13, when a pre-teen finally becomes a teenager. I have to think for a moment to remember my 13th birthday…oh right, on the birthday when I was celebrating “growing up,” I excitedly attended the premiere of Disney’s Pocahontas at the fabulous Fox Theater in Atlanta. 16? Sweet sixteen (or 15 in some cultures), the age to throw a big fancy party, second only to a wedding in the life of a young woman. I went out to dinner with my parents on my 16th to our favorite local, family-owned restaurant. That was my typical birthday celebration: a celebration of family, with my mom’s birthday being the day after mine, and Father’s Day around that time, too. I remember seeing a rainbow as we were coming home from dinner. 20 was a special birthday for me; I was on a study abroad trip to France. I celebrated the end of my teen years all summer with travel, new-found independence, and moderate amounts of French wine. 21! Finally! Now I could legally drink in the United States! So of course I had a big night on the town…with ice cream, in the dry Mormon college town of Provo, Utah. I was at Brigham Young University for a week-long summer ballroom dance camp, a birthday trip to celebrate one of my passions. My first drink (ok, first legal drink) in the U.S. was a glass of wine at the Salt Lake City airport, kindly bought by a fellow ballroom dancer I had met at the workshop. The twenties. The doldrums of birthdays. One year rolls ever more rapidly into the next, marked by happy hours, job changes, relationship changes…these soon become the milestones by which you measure your life, instead of that special day on the calendar. “Oh, that was when I worked there;” “That was when I was dating so-and-so.” “What do you do?” becomes the social question of individual definition, instead of the “How old are you?” question that had been so important at the pool as a kid. So I arrived, all too quickly, at 29. OMG! The last year of my twenties! Start panicking! And I certainly did, for a while. I didn’t like my job, I felt like my career was going nowhere. Relationships were short-lived or not present. Nearly midway through age 29 (already in my 30th year), I began some serious self-reflection. What did I want more of in my life? What did I want to spend less time doing? In short, those reflections continued for the next six months, instigating and facilitating some major life changes. I changed jobs – changed careers – leaving the non-profit/political/communications/small business world to pursue my passion for the arts: dance, theater, photography. I got back into dancing and performing through some amazing opportunities that appeared at exactly the right time – when I was open to and ready for them. 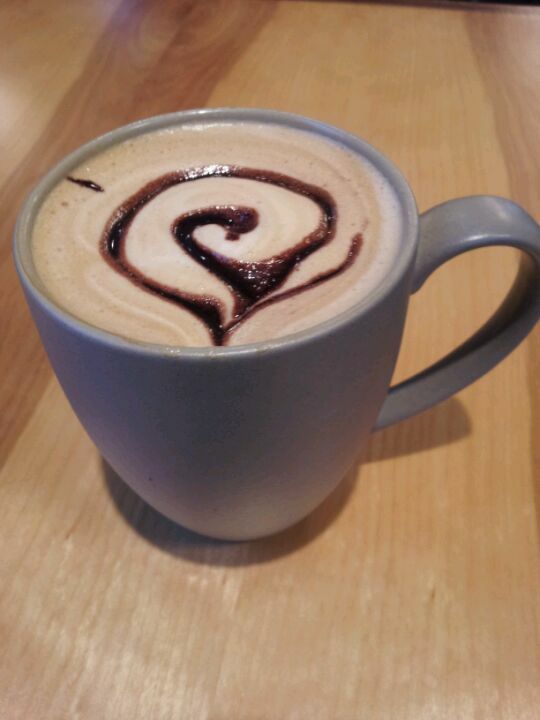 I began working at a café, playing the role of “starving artist,” but with free coffee and food. I started yoga, getting back in touch with my spiritual side, and transformed some long-held bad habits into better, more energizing sleeping and eating patterns. With my 30th birthday close on the horizon, and my life in transformation, when Mom and Dad asked if I wanted to come home to Georgia for a big family reunion, I was happy to come. When they told me it was on the day of my birthday, I hesitated briefly. What did I want? I thought I had always wanted a big celebration with 50 of my closest friends at a big bar with a big dance floor. Or maybe a house party with about 30 of my friends. But the more I thought about it, the more I realized that being with my parents, my aunts and uncles, meeting “long-lost” aunts and uncles and cousins I didn’t even know I had – this seemed more important than a big, alcohol-infused party. It had been about a decade since I celebrated my birthday with my family, and that was the celebrating I remembered the most growing up. Sometimes, you want to look to the past, hear stories of who came before you, what was important to your parents and their generation. Sometimes, you need to slow down, to think about and focus on what’s really important to you, and how to spend more energy on that. Reconnecting with family, with my family’s past, I found that I reconnected with myself, in a grander and more authentic celebration of self than anything else I could have possibly planned. Obligatory, looong-overdue “it’s been a while since I’ve blogged…” post chock full of content. From late September 2010 through mid-December 2010, I had the honor and privilege to work with America’s Voice as their New Media Intern. My first true foray into activist blogging, it was a humbling, educational, and inspiring experience. The amazing people I worked with and the awesome young Dreamers – immigrants and activists fighting for the right to go to school, work, serve in the military, and give back to the country they love and call home – touched me deeply and taught me a lot about passion and perseverance. The only way to sum up the experience is through some of the words, images, and video I posted during that time, featuring actions and people that left a big impression. Even if you are not interested in immigration as a political issue, even if you’re pretty sure you know where you stand, please, take a look at the articles, stories and images below. These young people are amazing, and continue to push for their dreams. Most of these posts were edited by the talented Jackie Mahendra, now with Change.org. Huge shout-outs also to Mahwish, Matt, and the rest of the AV staff for their inspiration and support. December and the DREAM Act: DREAM Act votes, week of action. Many outdoor marches and rallies, despite freezing temperatures. Find many great DREAM Act resources here on the America’s Voice site to learn more. One Nation Rally this Saturday for Immigration Reform, Jobs, Justice, Education, 9/30/10. View photos of the rally here. As with any content discussion, your first question when creating or repurposing content for mobile use should be Who is your first priority audience? FEMA’s mobile website, for example, is directed to people experiencing a disaster looking for relief and preparedness information. Think about each component of usability: effectiveness, efficiency, and satisfaction of specified users in specified context of use. Keep in mind people are often looking for a quick check of specific, basic information: phone number, address, directions, etc., as opposed to the more extended, casual browsing at a desktop or laptop. In addition to the quick check, other users may be looking for interactions optimized for their mobile device, such as videos or games, especially if you are an entertainment provider. This type of content will keep people coming back. Screen resolutions are much smaller and vary widely. Keep content to one column. Don’t use tables to lay out content as they can be displayed inconsistently. There is great variability of hardware, screen-size, and software used to access the mobile web. Test what your mobile content will look like across a variety of platforms and phone types: iPhone, Android, Windows Mobile, BlackBerry, Palm, Nokia, and feature phones that include web access. Recruit colleagues, friends, and family who have different devices and have them run through use scenarios. Don’t forget about the long tail of users; about 60% of mobile traffic comes from devices that are not the most popular three or four. Graphics should be used sparingly and only if they are of high importance or value, such as a logo to maintain consistent branding. Colors tend to wash out outdoors. You may want to default to the mobile site for certain devices, but give users the option of the regular site if they prefer. Start preparing for the future mobile web now, including bigger screens and faster and more reliable data transfer. By 2014, more people worldwide will be accessing the web from mobile devices than from computers. In short, the early mobile web bears close resemblance to the early world wide web – lack of standards, inconsistency in hardware and software used to access it, small screen resolution and sometimes slow connections. But we can employ the strategies learned over the past couple decades of traditional web design to make the mobile web just as user-friendly as the modern web. Contact the individuals or companies who participated for more information on optimizing your corner of the mobile web. What tips, tricks, and tools have you found useful in making your website mobile-friendly? the question is, will it be an epic fail or epic win? 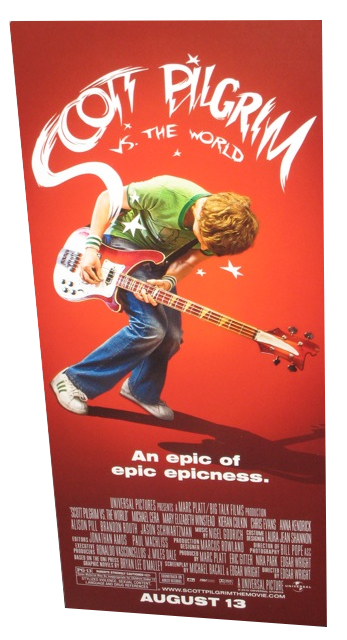 Scott Pilgrim vs. the World is an epic win. The enticing trailers show Michael Cera playing the likable underdog Scott Pilgrim who must fight the league of seven evil exes to win the girl of his dreams. The movie was like watching a video game and a comic book come to life. Comic book movies are common, but frequently too dark, too violent, too cheesy, or too cartoony. This movie struck the right note and rocked it. I’m not a big reader of comic books themselves, but I like comic book-based films, and this is the best one I’ve seen in a long time. It was the graphic novel version of a movie, not simply another action flick featuring comic book characters. forward to playing the video game based on the movie and graphic novels! Dialogue was snappy and humorous without being over-the-top. All the characters, even supporting characters, were driven by something, making them more realistic and fun to watch. Supporting characters Wallace Wells (Kieran Culkin), Pilgrim’s gay roommate, and Knives Chau (Ellen Wong), Pilgrim’s former love interest, might have stolen the spotlight in another film, but here, the entire cast was strong enough that they elevated the whole film. Main love interest Ramona Flowers (Mary Elizabeth Winstead) was quirky, mysterious, and aloof, but showed just the right hint of vulnerability at the right moments. Michael Cera did a great job playing, well, Michael Cera. He’s well-suited to the role of the slightly awkward underdog who goes for what he wants at full power. And the suite of evil exes each have a personality and a power of their own, with different battle styles and strengths required to defeat each one. Many video game genres are well represented, from ninja fighting games to skateboarding to the music genre, while the movie plays well as one truly epic adventure to save the princess. If you’re a comic book, video game, or fantasy fan, or a fan of geekery, you’ll probably love this movie. If you’re a fan of action and/or comedy, you’ll probably enjoy this movie. I was lucky enough to score free passes to an advance screening, but the movie was already on my must-see list for the summer. Add it to your list.